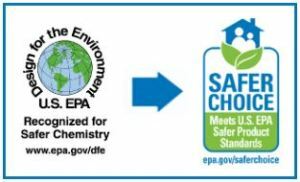 On March 4, 2105, the Environmental Protection Agency’s (EPA) Design for the Environment (DfE) program released its new Safer Choice family of labels that are designed to help people recognize household and institutional products that EPA has identified as environmentally preferable. Under the DfE program, EPA uses a science-based approach to evaluating products that allows only screened products to display the logo. CSPA member companies have long been dedicated to ensuring that consumers have confidence in the safety of the everyday products they use in homes, schools and other institutional environments. For some CSPA member companies, participating in EPA’s Design for the Environment program is a way of demonstrating their overall sustainability commitment. Alternately, some other CSPA member companies use well-recognized life cycle assessment approaches that utilize the entire product life cycle (manufacturing, energy footprint, use, and disposal) for sustainability and environmental safety. In addition to conducting ongoing research and development to create safe, healthy and effective products, Cathcart said CSPA member companies communicate ingredient information with consumers on product labels, on the manufacturers’, distributors’, or importers’ websites, through toll-free phone lines and through non-electronic means as part of a commitment to share ingredient information. The CSPA and its members will continue to work with EPA and other stakeholders on building more flexibility and further objective criteria into the DfE program to incentivize consumer and Institutional products companies to participate and to provide even broader environmental benefits.